We are always very happy to welcome newcomers and visitors to our services, but know that some people can find it daunting just to come to church, particularly for the first time. We hope that the information here will put you at ease as well as giving you a bit more of an idea what to expect. mornings 8am This service is a said ‘Common Worship’ Holy Communion with a quiet and reflective feel. 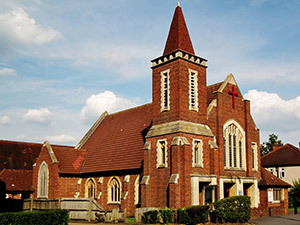 mornings 10am This is the service when young and old and those in between come together to follow a varied pattern of worship which includes All Age Worship (1st Sunday of the month), Baptisms (3rd Sunday) and Holy Communion (2nd and 4th Sundays). (1st, 3rd, 4th and 5th Sundays) Our Sunday evening services at 6.30pm on the first, third, fourth and fifth Sundays are generally quieter and more reflective, and a contrasting complement to the morning services. lunchtimes 12 noon This weekday service is a said ‘Common Worship’ Holy Communion. 6.30pm, on 2nd Sunday of the month Our Revive service offers an opportunity to take part in a more contemporary, informal style of worship with a strong focus on modern worship songs. The more lively style is designed to appeal to children, young people and adults alike. There is no need to dress up when coming to one of our services; you’ll find that some of the congregation like to wear their ‘Sunday best’, while others are in jeans and t-shirts – wear whatever you feel most comfortable in. When you arrive, you will be met at the door by one of our Welcome Team, who will give you everything you will need for the service. Depending on which service you come to, all the words you need will be in the service books you will be given at the door or else projected on the screen. If you have any questions, just ask the Welcome Team. At Communion we offer a choice of alcoholic wine from the shared chalice or non-alcoholic wine in small, individual glasses. Most services last around an hour. We offer refreshments after the 10am Sunday service, so why not join us for a tea or coffee and a chat? The 10am Sunday service is the busiest and the one most newcomers attend first, but of course you would be very welcome at any of our services. We seek to be as accessible as possible for wheelchair users. We also have a loop system and large print hymn and service books. Please make yourself known to a member of our Welcome Team if you have a particular need. We very much look forward to welcoming you to our church and sharing in worship together. If you have any questions in the meantime, please do get in touch.